Several lawsuits are now pending against Dr. Pepper Snapple Group, makers of Canada Dry Ginger Ale, because the drink contains little - if any - ginger. 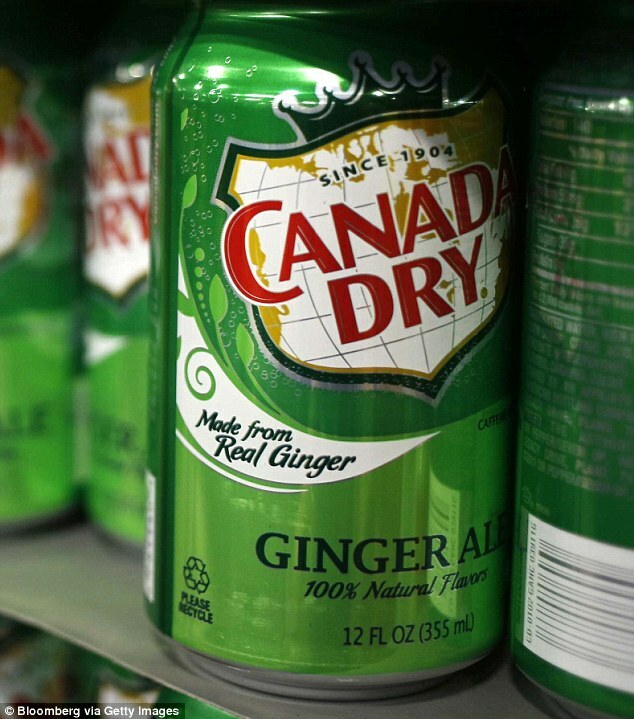 Canada Dry Ginger Ale is made from carbonated water, high fructose corn syrup, citric acid, preservatives and 'natural flavors,' i.e., a flavor compound comprised predominately of flavor extracts not derived from ginger, and a minuscule amount of a ginger flavor extract,' alleges the suit, according to Buffalo News. It always pays to read the label before purchasing - or in these cases, after purchasing. SEMINOLE COUNTY, Fla. — For one Florida man, the move from teaching to shopping not only changed his life but also his bank account. He’s now making six figures. And now, he makes more than $100,000 a year — delivering groceries. That’s right, he doubled his teaching salary. PORTLAND, Ore. – Mayor Ted Wheeler is being accused of violating the U.S. Constitution after city police didn't respond to some 911 calls placed by federal immigration employees during a five-week-long protest in Southwest Portland. The union representing U.S. Immigration and Customs Enforcement employees alleges Wheeler violated the 14th Amendment, which guarantees citizens equal protection of law enforcement. On June 20, the day the protest first shut down the ICE facility, Mayor Wheeler – who is also the police commissioner – announced he would not involve the city’s police department in the protest. "I want to be very clear that I do not want the Portland police to be engaged or sucked into a conflict, particularly from a federal agency that I believe is on the wrong track. If they are looking for a bailout from this mayor, they are looking in the wrong place," Wheeler said. Teddy doesn't seem to understand that as "police commissioner", his job is to maintain order based upon law, not upon his personal whim. Enforcement isn't a "bailout". By rights, he should be recalled now, rather than allowed to serve out the remainder of his term. These "peaceful protesters" were throwing boards with protruding nails at officers and staff, among other things, and Teddy supports them. A 15-year-old teen suffered second-degree burns to his face and body after his friends allegedly poured boiling hot water on him as he slept in a bid to complete the “Hot Water Challenge.” Kyland Clark, of Indianapolis, said that he and his friends were watching videos of the challenge last week on YouTube before he fell asleep, and that his friend had attempted the challenge as a joke, Fox 59 reported. Thaat's not a joke; boiling water is hot, and throwing it on someone is felony assault. They need to go back to eating Tide pods or whatever. The drugs didn’t cure anybody—HIV still lurks in the bodies of the nearly 22 million treated individuals. Any interruption in treatment allowed the virus to emerge from its hiding places and re-infect the patient. Plenty of interruptions occurred. Today, the number of infected people is estimated at at least 37 million, worldwide. The number of resultant fatalities is expected to be staggering. Stacey Abrams is vowing to improve Georgia’s economic standing, but she believes her struggles with massive personal debt do not reflect poorly on her fiscal responsibility. So she's running for governor. Abrams — who would become the first black female governor in the country if elected — also appeared to cite prejudice for her financial woes. Defending her weak financial standing in an op-ed for Fortune, the gubernatorial candidate blamed wealth disparities between white, Latin and black households as partially the result of housing, labor and education discrimination. Just what they need: a governor with no understanding of personal finance while blaming it on prejudice! With any luck, many of the loons will manage to stroke out, which might precipitate a welcome return to civility. As it is, their ongoing TDS shows no sign of abating, and they're becoming more problematic. A huge GOP rally in Florida over the weekend saw the same dangers. Two years ago, this particular rally on Florida’s West Coast south of Tampa Bay had just a handful of security and police. This year, there were about 30 police officers and private security members — and they were needed. About 1,200 Republicans showed up to hear 41 candidates, including Gov. Rick Scott and gubernatorial contenders Ron DiSantis and Adam Putnam, plus take part in a straw poll. It was the largest one-day stock drop ever.